Religious Education as a subject is taught in all UK public schools. While primary emphasis is placed on the teaching of Christianity, pupils are also introduced to other major world religions from a young age. To give children the opportunity to discuss spiritual and ethical topics. The core content of the Religious Education curriculum for younger children is bible stories, whereas in Key Stage 3 more contemporary religious issues are dealt with. Young children enjoy the exciting stories of the bible and the best way to support your child’s religious education is to read and discuss some of these stories together. The bible is a powerful teaching tool and is full of stories that teach who God is and who we are as his children. The bible contains many stories ranging from true love through to war and so much more to teach your children about history. Reading not only develops your child’s reading skills and love of books but it also develops their emotional intelligence. Bible stories also reinforce biblical values such as compassion and kindness. Stories can help your child to begin to make sense of their feelings. Different types of stories have different types of contribution to make in your child's emotional development. If you are a Christian then Bible stories are the foundation of your faith. Bible stories or historical events are taught as stories that really happened, and it is important to ensure that your child understands the difference between stories of events that happened, and other types of stories such as those that could happen, and those that could never happen i.e. fantasy. Your Christian bookstore can help you find a bible and bible based storybooks that are suitable for your child. There are many sites online that provide parents with the necessary resources to share Bible stories effectively and to share principles with their children. Before reading a bible story with your child you should always read over it yourself first to familiarise yourself with the message contained in the story. You may need to paraphrase it for your child so that they can get the most meaning from it. Many parents worry about sharing particular bible stories with their children, but there are many fun reinforcements that you can do with your child after reading and discussing the story. Related crafts, activities such as word searches, puzzles and colouring pages, bible songs and prayers can help your child in learning a particular story and make it an enjoyable experience. 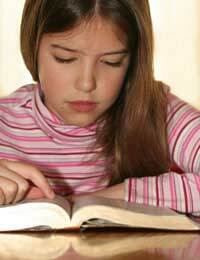 When your child reaches Key Stage 2 you will be able to study bible stories in more detail by examining stories that they have learnt in school or church and comparing them with other events in history that were happening at about the same time. Creating a timeline will help your child put a better perspective on how closely biblical and historical events are linked. There are many websites that give information on archaeology of Bible times. Archaeologists are continuously bringing to light artefacts, cities and other pieces of history that relate directly to the bible. Showing your child what has been found from Bible times will help your child to understand the reality of certain bible stories. You may even be lucky enough to have a local museum with biblical artefacts on display. Taking the time to teach your child the history surrounding bible stories can enhance their religious education and can be a very rewarding way of spending time with your child as you learn together.